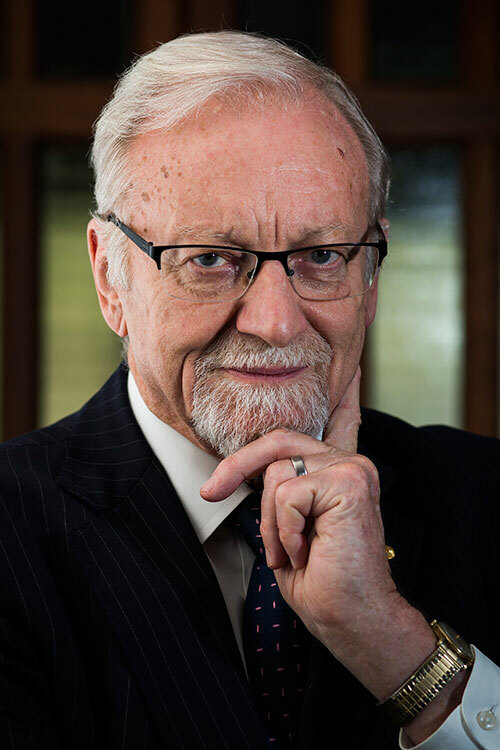 Professor the Hon Gareth Evans AC QC FASSA FAIIA has been Chancellor of the Australian National University since January 2010. He was a Cabinet Minister in the Hawke and Keating Labor Governments from 1983-96, in the posts of Attorney General, Minister for Resources and Energy, Minister for Transport and Communications and - from 1988-96 - Foreign Minister. During his 21 years in Australian politics he was Leader of the Government in the Senate (1993-96) and Deputy Leader of the Opposition in the House of Representatives (1996-98). From 2000 to 2009 he was President and CEO of the Brussels-based International Crisis Group, the independent global conflict prevention and resolution organisation. He has written or edited 13 books - including Incorrigible Optimist: A Political Memoir (2017), Nuclear Weapons: The State of Play 2015 (co-author), Inside the Hawke-Keating Government: A Cabinet Diary (2014), and The Responsibility to Protect: Ending Mass Atrocity Crimes Once and for All (2008); has published many newspaper articles and nearly 150 journal articles, chapters, and reports on foreign relations, human rights and legal and constitutional reform; has honorary doctorates from Melbourne, Sydney, Carleton and Queen’s Universities; and has lectured at many universities around the world, including Oxford, Cambridge, Princeton, Yale, Stanford and the Central European University. He has co-chaired two major International Commissions, on Intervention and State Sovereignty (2000-01), and Nuclear Non-Proliferation and Disarmament (2008-10), and has been a member of a number of others. He currently Co-Chairs the International Advisory Board of the New-York based Global Centre for the Responsibility to Protect, and is Patron and Emeritus Convenor of the Asia Pacific Leadership Network for Nuclear Non-Proliferation and Disarmament. Gareth Evans was made a Companion of the Order of Australia (AC) in 2012 for his "eminent service to international relations, particularly in the Asia-Pacific region, as an adviser to governments on global policy matters, to conflict prevention and resolution, and to arms control and disarmament", and in the same year was elected an honorary Fellow of the Academy of Social Sciences of Australia (FASSA). In 2016 he was awarded by the Sir Edward 'Weary' Dunlop Asialink Medal "for long-term commitment to improving Australia-Asia relations". In December 2015 he was made a Companion of the Order of O.R. Tambo by South Africa for his contributions to the anti-apartheid movement. Foreign Policy magazine cited him as one of the Top 100 Global Thinkers for 2011 "for making 'the responsibility to protect' more than academic". In 2010 he was awarded the Franklin and Eleanor Roosevelt Institute Four Freedoms Award for Freedom from Fear, for his pioneering work on the Responsibility to Protect concept and his contributions to conflict prevention and resolution, arms control and disarmament. Click here for a full-length biography. 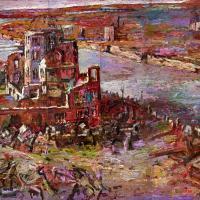 An updated and expanded edition of the report first published in 2013, describing the world’s progress - or lack of it - in meeting the commitments and recommendations of the 2010 NPT Review Conference, the 2010-12-14 Nuclear Security Summits, and the 2009 Eliminating Nuclear Threats report of the Evans-Kawaguchi International Commission on Nuclear Non-Proliferation and Disarmament. Like its highly-praised predecessor, the 2015 State of Play report - launched in Geneva, Vienna, Washington DC and other world capitalsin March and April 2015 - is a comprehensive analysis of current issues in nuclear disarmament, non-proliferation, security and peaceful uses, and will prove an invaluable information resource and advocacy tool for policymakers and civil society activists. 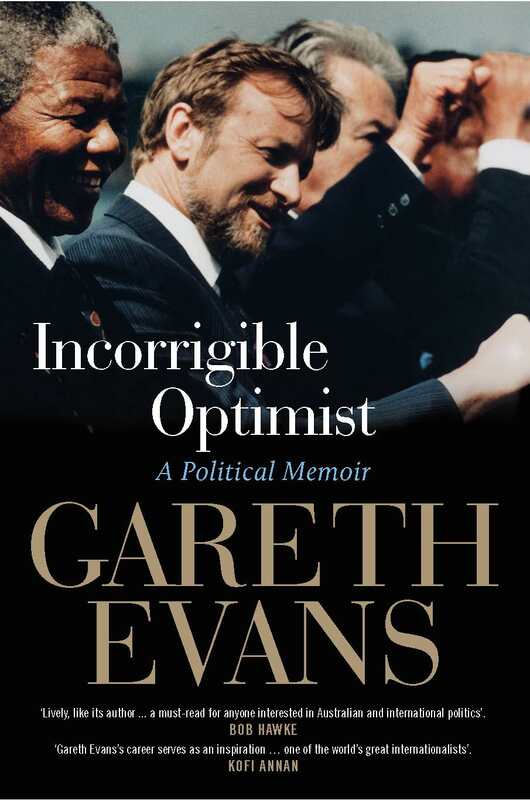 Full-length and summary biographies of Gareth Evans. Books, monographs, chapters, journal articles and opinion page articles by Gareth Evans, and co-authored commission reports. 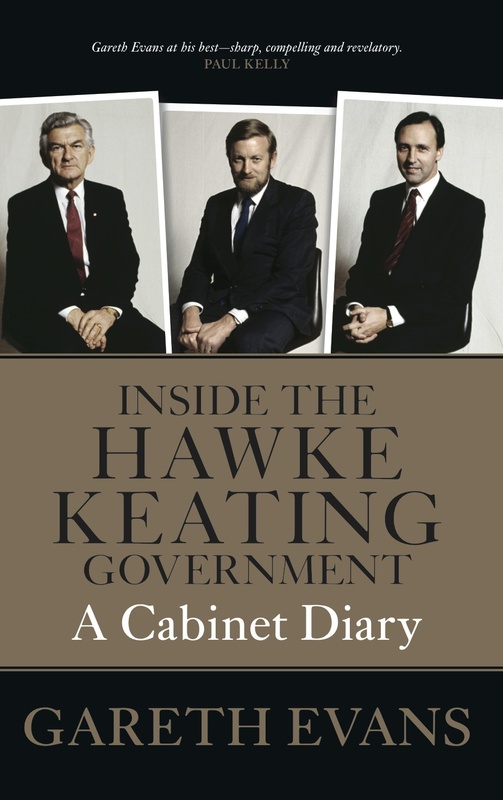 Major speeches and papers by Gareth Evans, as foreign minister and subsequently. Information about organisations with which Gareth Evans is or has been associated.